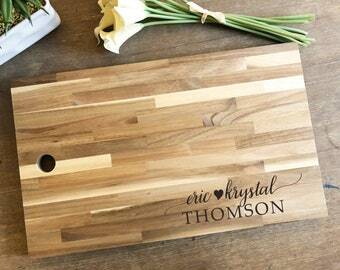 Personalized cheese board is a great wedding gift or housewarming gift! It includes a laser engraved monogram, name or initial (depending on the design that you want). This product ships within 3-7 business days. Let us know if you need it sooner! The cheese board swings open to reveal the cheese tools housed under the swivel-style board. Accessories included with the 7.5" cheese boards are: a hard cheese knife, a chisel knife, and a cheese fork with wooden handles. Accessories included with the 10" cheese boards are: Cheese cleaver (for crumbly cheeses), cheese plane (for semi-hard to hard cheese slices), fork-tipped cheese knife, hard cheese knife/spreader. The split level circular cutting board has a cutting surface and is made of eco-friendly rubberwood. We have three available designs (please see listing photos). Please feel feel free to send us a message if you want a custom order. 1. DATE you need the order. Our processing time is 2 weeks, but send us a message if you need it sooner. 3. 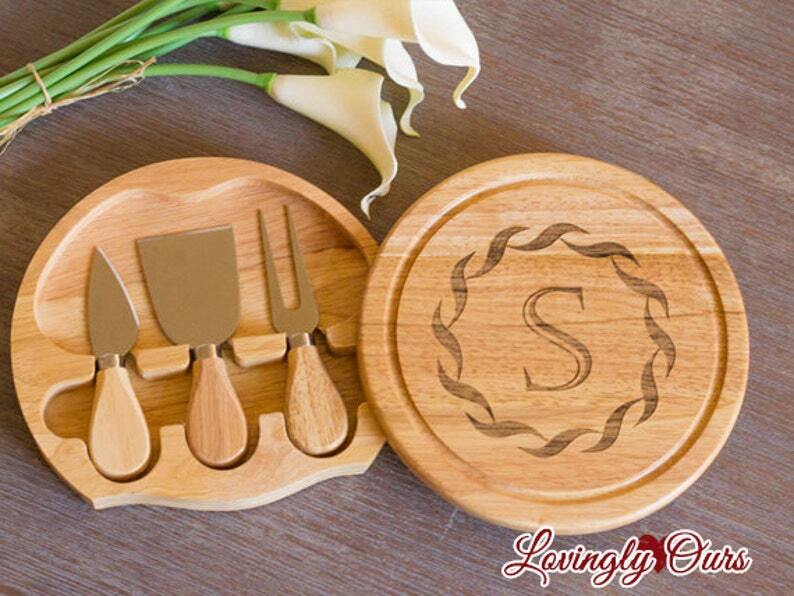 MONOGRAM or INITIAL - For monograms, please send how you want it printed. Please see below for monogramming guidelines. Highly recommend Princesa. Received all 7 robes perfectly packaged high quality cotton just as described. Just the perfect touch to that special day . My daughter loved them and so will her bridesmaids. Thank You Princesa my niece loved it!! I’m glad it arrived on time, it fit her perfectly. It’s beautifully embroidered Thank you so much.